Power-house performer Vidya Balan was last seen in Suresh Triveni’s comedy-drama film ‘Tumhari Sulu’. Post that, the actress appeared in a few Telugu films but is yet to make an announcement regarding her next Bollywood film. Interestingly, at a recent media interaction, the National award-winning actress did open up about her upcoming project. 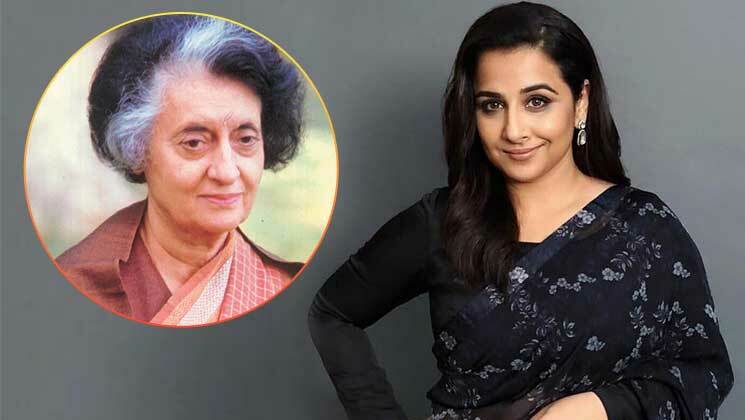 Vidya revealed that she was trying to make her debut into the digital space with a web series based on the life of Indira Gandhi, the only female Prime Minister of India. The ‘Dirty Picture’ actress was in Mumbai yesterday, to make an announcement of nominations for the first edition of the Critics Choice Film Awards. It was there when the actress spilled the beans on her digital debut plans.“I am trying to do a web series which will be based on the life of Indira Gandhiji. As of now, we are trying to do it, but let’s see how it takes shape. While doing a web series, a lot of people associate themselves with it as compared to making a film. So, it takes a lot of time. But when I will do it, I will make sure that it turns out really well,” she said. Apparently, the series will be an adaptation of journalist Sagarika Ghose’s book ‘Indira: India’s Most Powerful Prime Minister’. The makers of the series have already bought its rights. We hope everything falls into place and very soon, the actress makes an official announcement regarding the same. Also Read: Is Vidya Balan playing BSP leader Mayawati in her biopic?